Why Choose Our Dog Grooming Salon? All Dogs are groomed immediately upon arrival. Generally, our groomers will have your pet ready in 1 1/2 to 2 hours; however, some breeds may take longer. In a human hair salon, your hairstylist is not working on multiple people at one time and in the same way, our pet groomers are not working on multiple pets at one time. While most dog grooming salons take in numerous pets and place them in cages until the groomer is ready, we at Plush Pups guarantee 100% cage and crate free dog grooming. We are a clean stress free relaxing environment. We succeed in this by not double-booking our groomers, which reduces the time your pet is away from you. We welcome you to stop by for a meet and greet or to browse our pet supplies in the Boutique. If you would like to ask us a question or schedule an appointment, give us a call at 215-947-2022 and we’ll be glad to help you. What is “Crate Free” Dog Grooming? Our pet grooming salon is crate free, but not roam free. Pets are never allowed to wander or mingle with other pets. Each pet is secure and in the hands of a team member at all times. 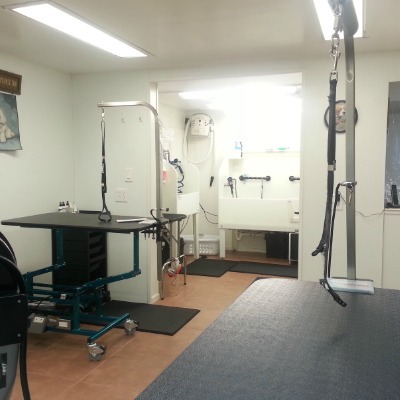 Your pet will receive one-on-one care and attention the entire time they are with us in a safe, relaxing environment. Since day one we have hand dried each and every dog. 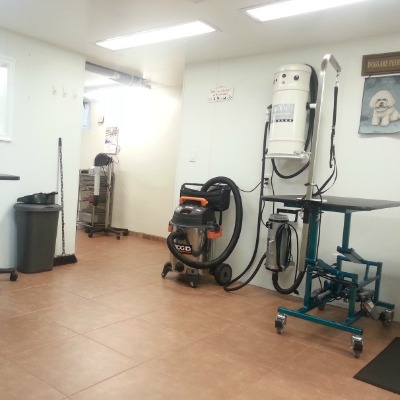 The pet grooming salon is kept clean and sanitized between appointments. All pets receive a soothing warm bath with a gentle massage. 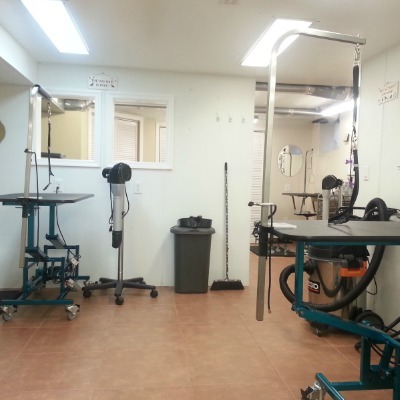 The salon has been designed to keep your pets safe and happy during their grooming. Taking care of animals is a passion of ours and we truly enjoy having the opportunity to work with pets every day. 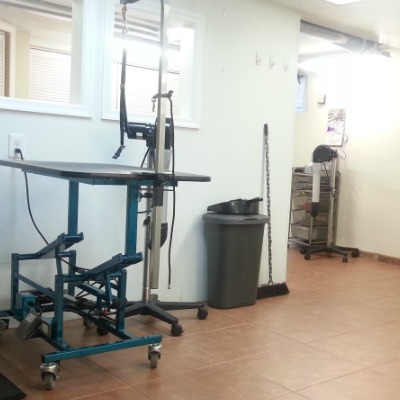 All of our pet groomers are professionally trained and certified. We rely on your satisfaction and referrals to be successful. We will do everything possible to guarantee you and your pet are happy with the services you receive. 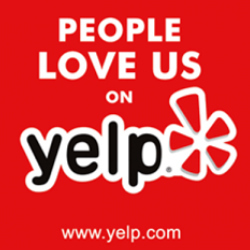 We take great pride in what we do and have a five-star rating on both Yelp and Google. The dog grooming products we use promote a natural clean lifestyle for your dog. Plush Pups uses only professional pet shampoos, conditioners, and sprays to condition, detangle, and repel dirt to keep your pet’s coat clean longer. We have the right products for your pet’s specific needs. Hypoallergenic shampoos that are gentle enough for puppies and sensitive skin. Deep cleaning shampoos with humectants to soften skin and condition hair. De-Shed shampoo to aid the natural shedding process. Baking soda and oatmeal shampoo naturally fights odor while providing a soothing deep-cleansing bath. Flea and tick shampoo kills fleas and ticks, cleans and conditions leaving pets smelling clean and fresh. Tearless spa facial scrub to lavish your dog while it gently removes tear and beard stains. Dandruff shampoo to reduce dandruff and soothe the skin while it alleviates dermatitis and seborrhea enriching the coat and skin. Ear cleaner that is an alcohol-free, antimicrobial cleaner in a gentle aloe and chamomile extract. It breaks through tough wax and debris while drying and deodorizing the ear area. “Designer” doggie colognes to control odor between baths. • Check for fleas & ticks, skin problems, lumps, bumps etc. When you arrive for your first appointment we will have a thorough consultation going over your pet’s health, grooming history, etc. We will further discuss your grooming expectations and go over any additional requests or concerns you may have. Please don’t forget to bring a copy of your current rabies certificate to your appointment for our records. 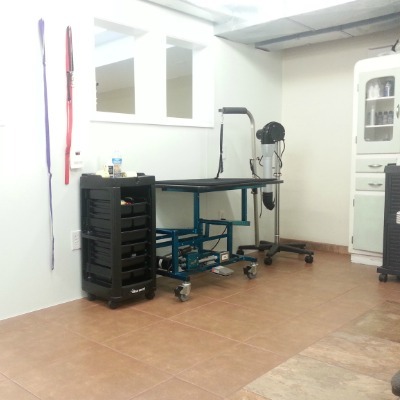 We welcome the opportunity to earn your trust and deliver the best dog grooming service in Huntingdon Valley. Schedule a pet grooming appointment by calling 215-947-2022. If you must cancel, we kindly ask that you give us a minimum of 24 hours notice by phone. Huntingdon Valley’s Premier Independently Owned Pet Store and Dog Grooming.